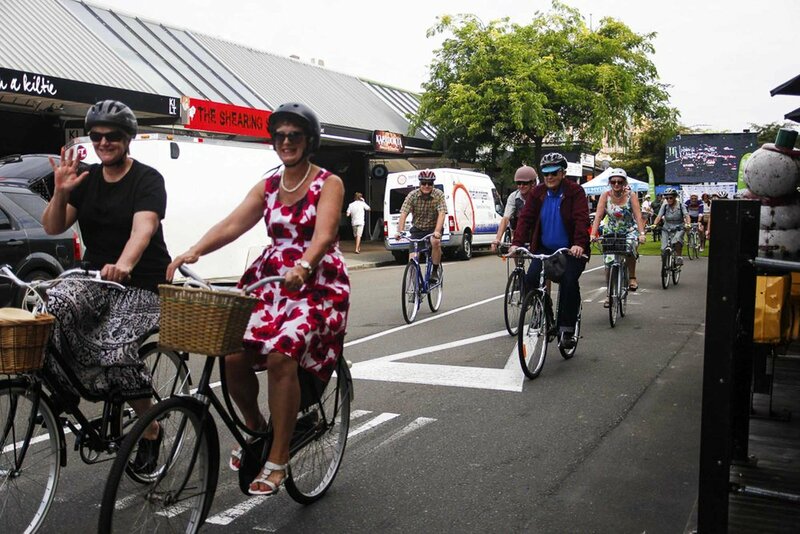 Manawatu’s Festival of Cycling kicked of with a Retro Ride on Saturday morning much to the delight of many riders from the lower North Island. 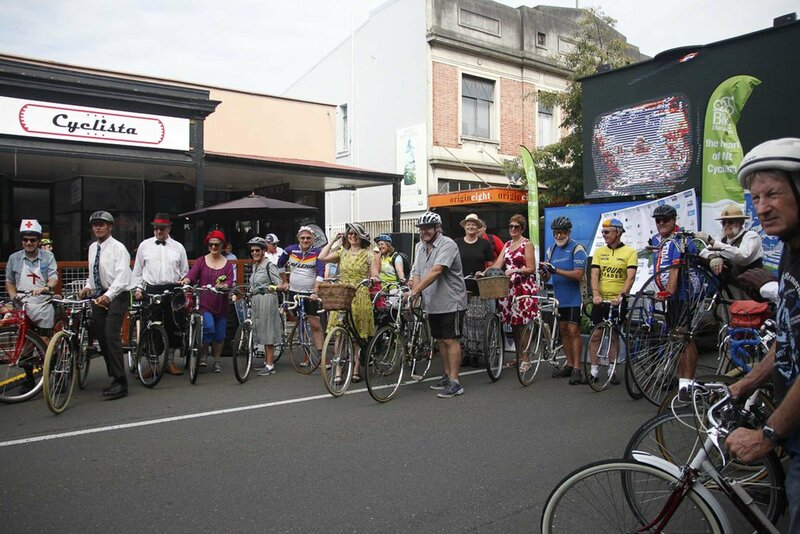 Organised by Palmy Unleashed, more than 30 riders took to the street on their retro bikes, some dressed in retro clothing and a few donning it all in lycra. Organiser Wayne Wolfsbauer of Palmy Unleased said they had riders from New Plymouth, Napier and Wellington join in the action, with bikes of all shapes and sizes riding the course. Causing a few heads to turn was an 1860 Open Head design penny-farthing resplendent with its rider dressed in the appropriate attire. Its owner Colin Barnes, of Haumoana, said he took every opportunity to get out on his bikehaving ridden many trails in the South Island and a 1000km event, the Dubbo to Gold Coast, with 10 other penny-farthing riders. Palmerston North rider Janet Mace was planning to spend a peaceful weekend with a friend when she saw an advertisement for the Retro Ride a few weeks ago and a new plan was hatched. Her friend, Julie Cummings of Napier, said she was back on the bike after a hip operation early last year so she was hesitant at first. 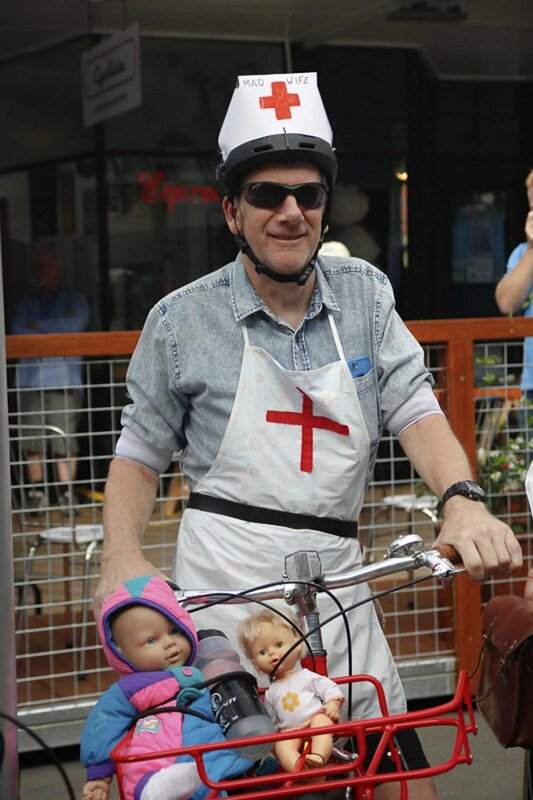 At the end of the race, all riders gathered in George Street and prizes were handed out for the best dressed and best bike. Photos by Colleen Sheldon. Please get in touch if you would like these in print quality. Ethan Berends was elated following his victory at the Gravel and Tar Classic held in Palmerston North on Saturday. In sweltering heat, Berends put his win of the 131.5km race down to getting no punctures, having a strong team behind him and understanding the gravel better. “The whole team did well. They put me in a good position for the whole race and I was able to pull it off in the end,” he said. It was a great win for the team, Berends said, and would hopefully help them get into races in Europe and America. Sprinting to the finish with Berends was New Zealander Michael Torckler for Blindz Direct, with Hayden McCormick for the New Zealand National Team about 20 seconds behind. Eleven teams competed in the UCI 1.2 race, described as the toughest race in Oceania, where 26 riders out of 53 starters crossed the finish line. Last year’s winner Robert Stannard, riding for Bike Manawatu-Cyclista, placed ninth in the race, nearly six minutes behind the race winner, having punctured at the top of the first climb. Race director Mattjis van Wagtendonk said the high calibre field made the race exciting and overall the race ran well. “It was a good race, we had no roading issues and I think the international commissaires were happy with the way it was run,” he said. Last September, cycling’s international body, Union Cycliste Internationale (UCI) accredited the Gravel and Tar Classic a level 1.2 status and the presence of commissaires to scrutinise the race was part of the process. Lead commissaire Peter Tomlinson said of the UCI race, “it puts a bridge between National club racing where people get a change to see these riders and in a couple of years those riders are on the world stage”. A strong NZ National team has been announced for the UCI 1.2 Gravel and Tar elite race being held in Palmerston North on Saturday, 27 January. For the first time, Cycling New Zealand has entered a five-strong team of James Oram, Luke Mudgway, Taylor Gunman, Hayden McCormick and Joel Yates to take on the challenge. Former Palmerston North Boys High School students, Yates and Mudgway, aged 20 and 21 respectively, have youth on their side and have concentrated on speed and endurance in the 2017 year. In November, Yates won the Abel Tasman Cycle Challenge in a daring solo attack. This year, he will be riding for USA-based U25 development team, Gateway Harley Davidson Trek. Mudgway, a former World Junior Track Champion in the Madison event, who also represented NZ last October at the World Road Cycling Championships in Norway, will spend this year riding for Canadian Continental Team, H & R Block. 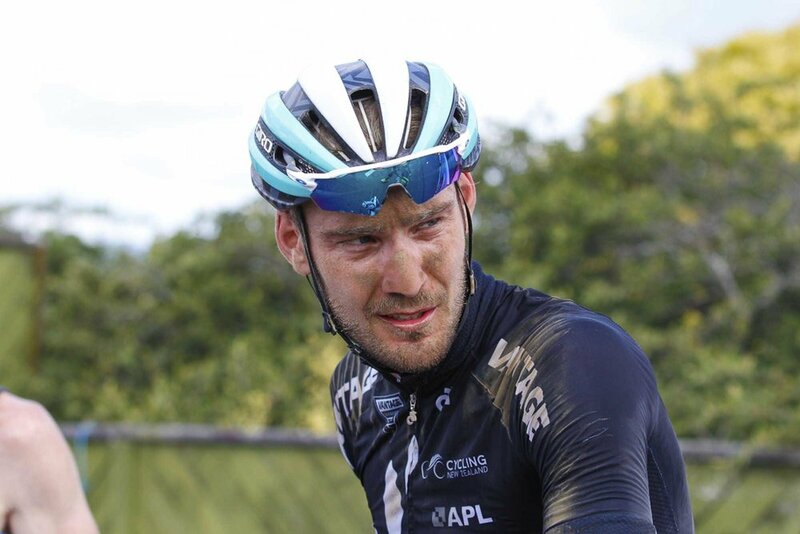 Twenty-six-year-old Taylor Gunman, from Auckland, is a former winner of the Oceania Road Championships and the NZ Cycle Classic. He will spend his 2018 season riding for Madison Genesis, a well-established and top-level UK-based team. 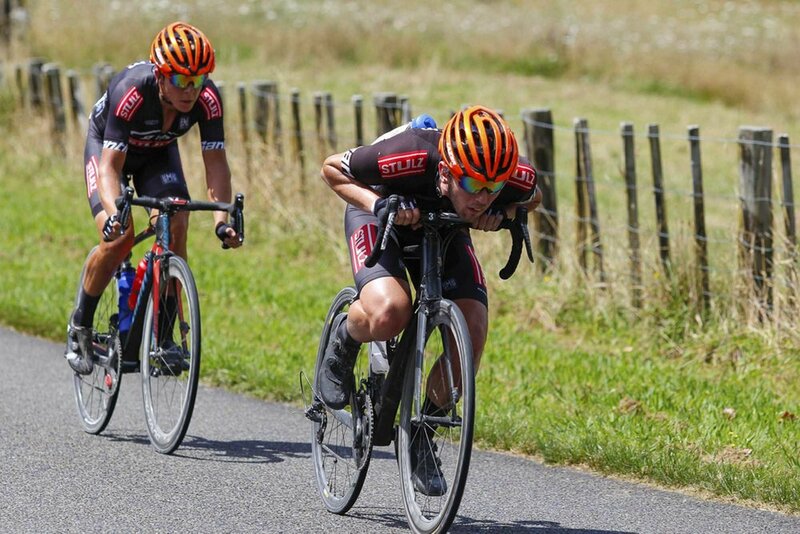 National team stalwarts Oram and McCormick are a hard-working pair, their results in the recent NZ National Champs road race suggest a successful 2018. The former Waikato rider, McCormick, came 2nd at the Napier event, with his team-mate Oram placing 5th. In the Individual Time Trial event, they placed 6th and 7th respectively. McCormick, who is riding in his third season for UK-based One-Pro Cycling was an integral part of his team last year, showing real leadership qualities and finishing 2nd at the Rutland-Melton CiCLE Classic. The 24-year-old backed it up with a strong showing at the Velothon Wales where he finished 9th. Fellow rider Oram is also in his third season at One-Pro. He enjoyed a successful 2017 season with the highlight being his impressive stage victory at Kriezh Breizh Elites in France last July. He will be one to watch having accumulated ten UCI top 10’s through last season. Cycling New Zealand’s High Performance Athlete Development Lead, Graeme Hunn said the team’s strategy for Gravel and Tar was to stay in the race and be engaged and communicating the whole way. Hunn said the race was an excellent opportunity for riders to prepare for their international seasons and brought the best cyclists from Oceania together to test themselves. “Events at this level are important. A bigger calendar across the season is vital to us improving our position globally. The key is (this race is) iconic, almost an adventure,” he said. “There’s a story associated with every performance whether it’s a podium or at the back of the field”. For more information, contact organiser Stephen Stannard, s.stannard@massey.ac.nz or phone: 0226848718 or 021809597. Having a few mountain bikers in the squad may make the difference for an Australian team looking to conquer the Gravel and Tar Classic on 27 January. Australian Trade team, GPM Stulz, have entered this year’s event after taking a year off to regroup and strategise. Having competed in the inaugural race in 2016, team director Trent Wilson described the race as tough and is expected to select riders with previous experience in the race and good off-road skills. “The race in 2016 was tough, but we know what we’re coming to this time and we’ll be more than competitive. The boys are looking forward to racing and enjoying the fantastic hospitality we received in Palmy when we were there in 2016”, Wilson said. GPM-Stulz, which has concentrated on developing riders out of Sydney, will bring the likes of mountain biker Cameron Ivory to these shores. Ivory is a Tour of Tassie stage winner, yellow jersey holder and 2018 Commonwealth Games MTB Ambassador. Tasman Nankervis, an U23 Australian National MTB champion, will also use his skills to the best advantage in the team. Wilson, or Willo as he is known to the team, started the team in 2009 and after a few name changes has settled on GPM-Stulz. Through a junior development programme in recent years, his riders are successfully making progress. Riders such as Harrison Bailey is a 2017 Tour of Tassie stage winner and Josh Corcoran won a silver medal in the NSW U19 Road Race. Former World Duathlon Champion Cameron Roberts will bring strength to the team. The final five-man squad is still to be named from his 12-man team and there are no doubts riders with grit and resilience for the tough 132km circuit will be at the top of the pecking order. 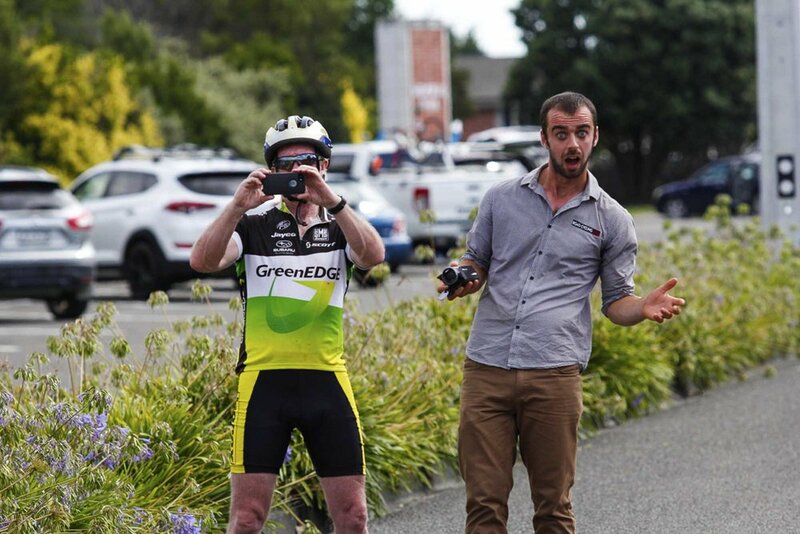 In just a few weeks, teams will start rolling in for Manawatu’s premiere cycling event with many looking to attain valuable UCI points on offer. 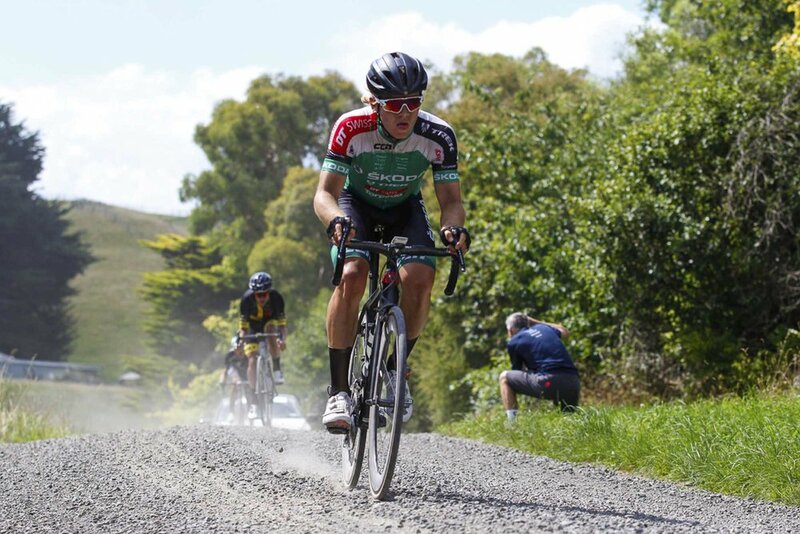 Australian-based Mobius-BridgeLane, in its first year as a registered UCI-Continental team, will be contesting the Gravel and Tar Classic starting in Palmerston North on Saturday, 27 January. Coming on the back of a growth year in 2017, where team manager Tom Petty turned down the opportunity to obtain a Continental license, he instead focussed on the long-term stability of the team by having well-recruited and strong cyclists. Amongst Petty’s 19-strong team are four New Zealanders. Dunedin cyclist Brad Evans, a 2017 Tour of Southland stage winner joined the squad late last year and under Mobius-BridgeLane will target as much UCI racing during 2018, as well as being a team captain passing on his knowledge to other riders. Southland rider Nick Kergozou is a New Zealand track cycling representative and looking for a place in the 2018 Commonwealth Games. His inclusion into the 2018 Mobius-BridgeLane squad is his first foray into professional cycling. 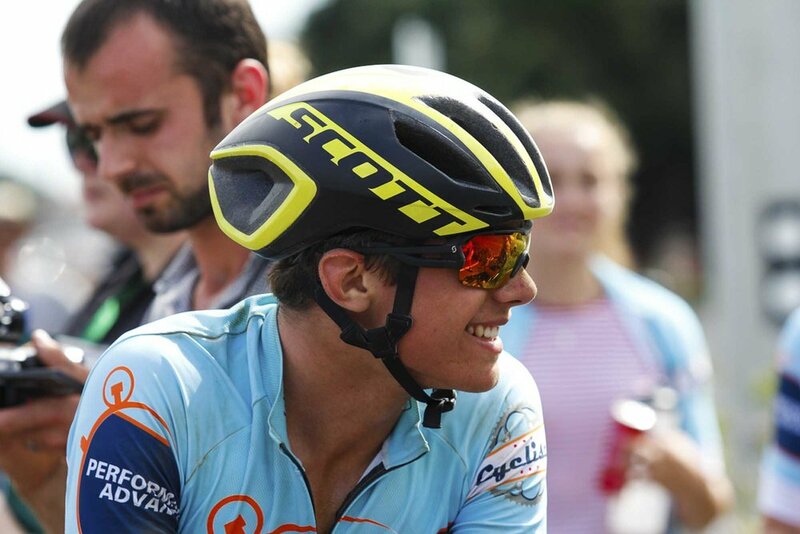 The other two cyclists are Ethan Batt and Carne Groub, both 19 years old, who form part of the U21 development being mentored to ride in the next year or two at Continental level. Petty will name his strongest team for the Gravel and Tar Classic in the coming weeks as he takes his team globetrotting in search of UCI points. Cycling’s international body, Union Cycliste Internationale (UCI) accredited the Gravel and Tar Classic a level 1.2 status which not only recognises the high standard of event but also puts the event on the International Cycling Calendar. The cost of meeting the UCI requirements for this 1.2 level race was made possible through a successful application to the CEDA (Central Economic Development Agency) Major Event Fund. With the Commonwealth Games across the Tasman in April 2018, cycling teams from around the globe are eyeing Palmerston North’s Gravel and Tar Classic in their training plans. The late-January cycle event, now in its third year, was recently given a level 1.2 status by cycling’s international body, the UCI (Union Cycliste Internationale). 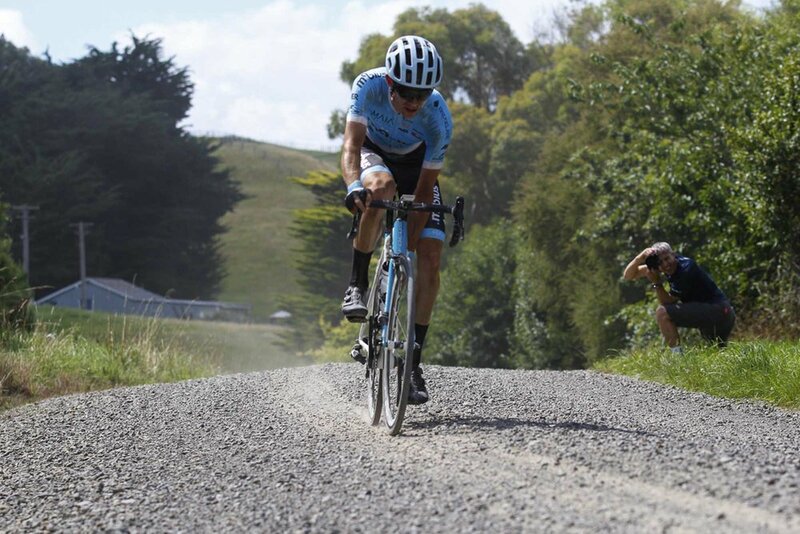 The status brings the Gravel and Tar Classic into the fold of being one of only six events across Oceania to be awarded this level of distinction. Following the accreditation, race organiser Steve Stannard has fielded calls from as far afield as Uganda and the United Kingdom as individual cyclists and cycling teams look to compete at a high level leading up to the Commonwealth Games. “By taking part in this event, riders can gain valuable UCI points early in the season and get noticed for the big races in Europe later on,” Stannard said. 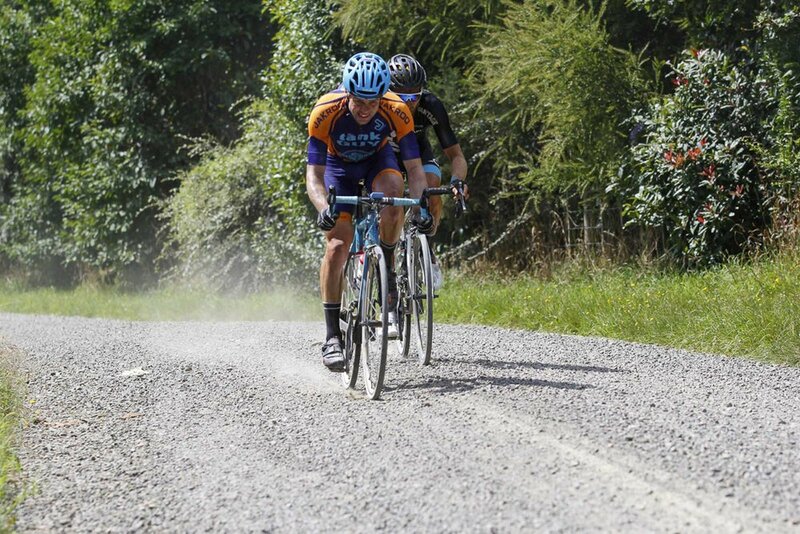 The multi-surface race includes around 40km of gravel roads as part of the 132km circuit.With the town being so close to the country, the inclusion of gravel makes for a complex ride and requires grit and guts. “The gravel sections really bring out the strength of the rider. Because there’s less grip and they have to carefully choose their lines, there’s no sitting on the bunch and winning in a sprint. The race suits the hard men of cycling”. 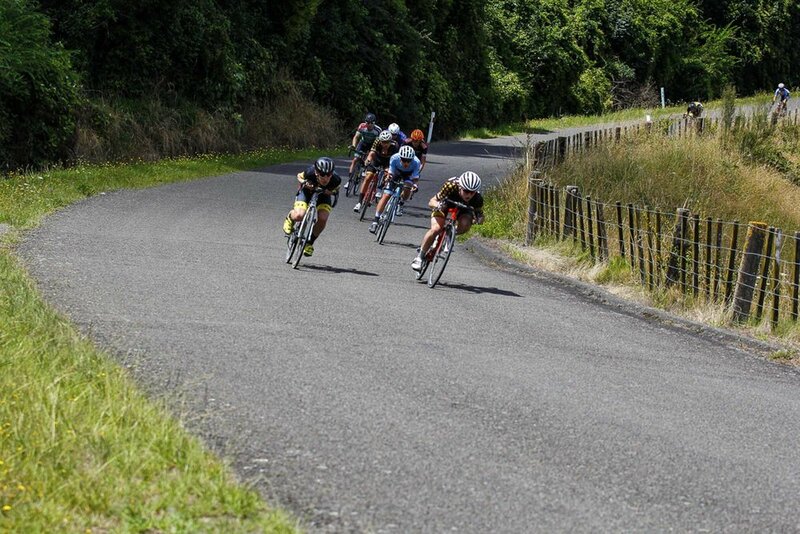 It is hoped that the Palmerston North event on January 27 will attract riders already participating in the Wairarapa-based NZ Cycle Classic being held one week earlier. 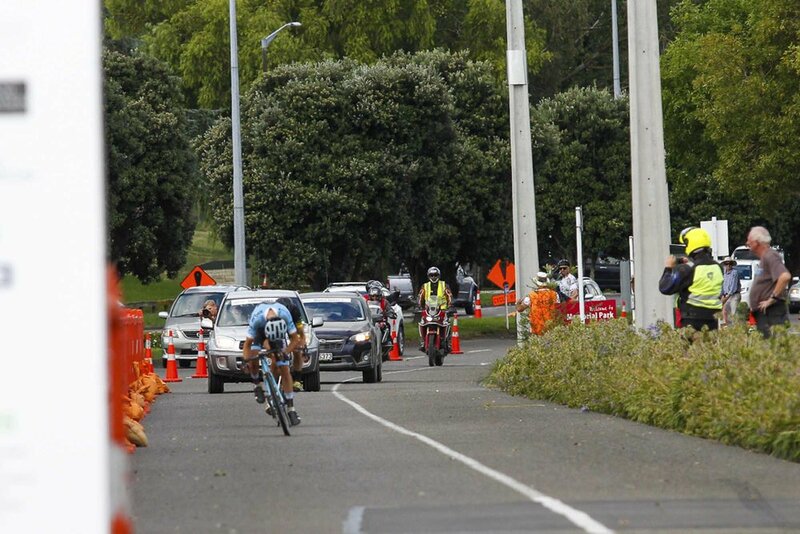 Both events hold the same race category status under UCI, but with the Wellington event being a staged (tour) event against the one-day (classic) event in Palmerston North. 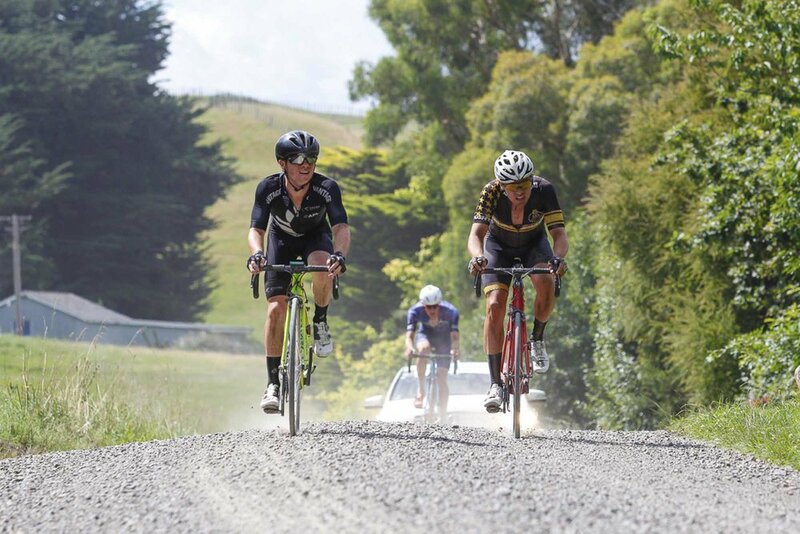 The Gravel and Tar Classic draws international riders from around the globe dotted amongst teams attending the Palmerston North cycle event on Saturday, 27 January. The Union Cycliste Internationale (UCI) 1.2 sanctioned event has elite riders vying for points which contribute to overall placings at the end of the calendar year. Three supporting events open to the public attract junior, masters, sportive and arm-chair riders wanting to be part of the action. A 70km Gran Fondo gives participants an opportunity to experience part of the course with its 2km Valley Road climb followed by two long gravel sectors. Race organiser Stephen Stannard advises to practice on gravel prior to the event so riders have a better feel for the surface. A non-gravel ride which attracts recreational riders is the 30km River Path Challenge which heads out along Napier Road before riding through private land to access the Manawatu River near Ashhurst back to Palmerston North. As for the arm-chair riders and side-line cheerleaders, The Big Bike Film Night, will deliver action, drama, plenty of humour and a hint of romance during the two-hour short film fest. Homegrown documentary “Muscles and Dreams” follows a keen group of men on the West Coast creating New Zealand’s longest continuous single track – The Old Ghost Road, an 85km-long former gold miners’ road from the 1800’s. 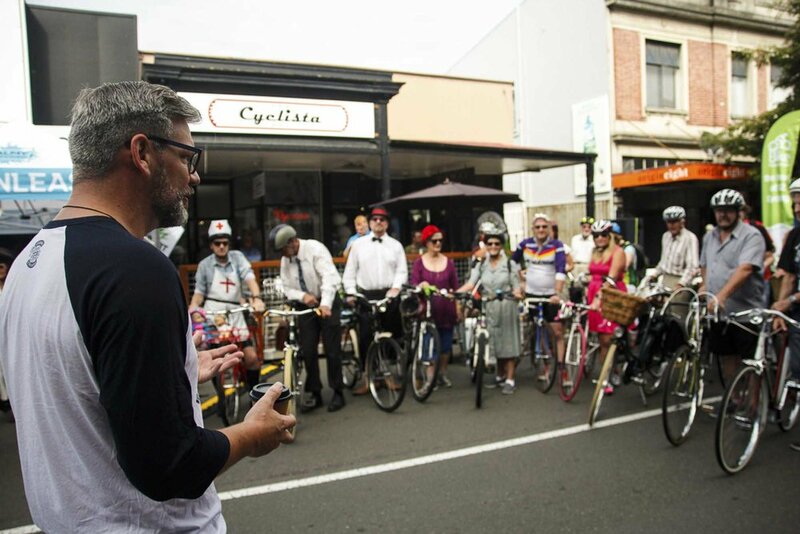 “There’s something here for everyone and Palmerston North will bring the cycling community together in a big way to experience our scenic spaces and hospitality,” Stannard said. Colleen Sheldon is a qualified former APN and Fairfax Media journalist and has volunteered her services in the lead up to and on the day of the event. 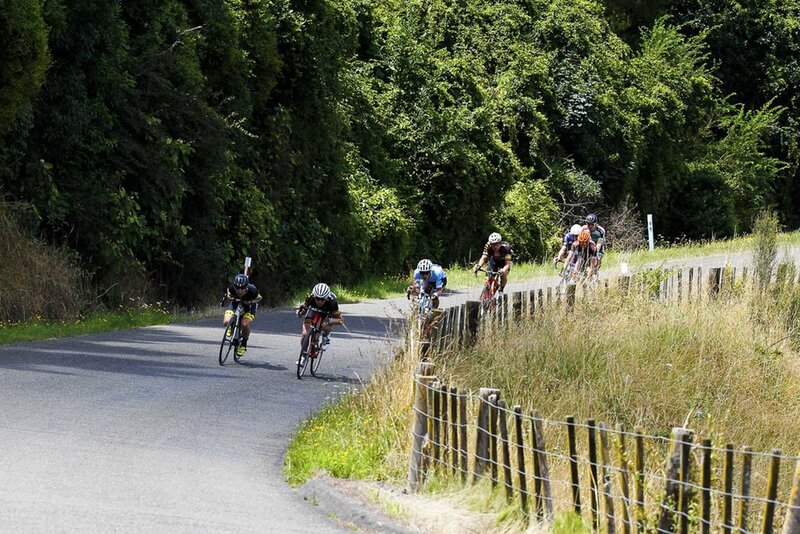 Whanganui hard man, Glenn Haden, headlines the Bike Box cycling team for this year’s Gravel and Tar Classic. 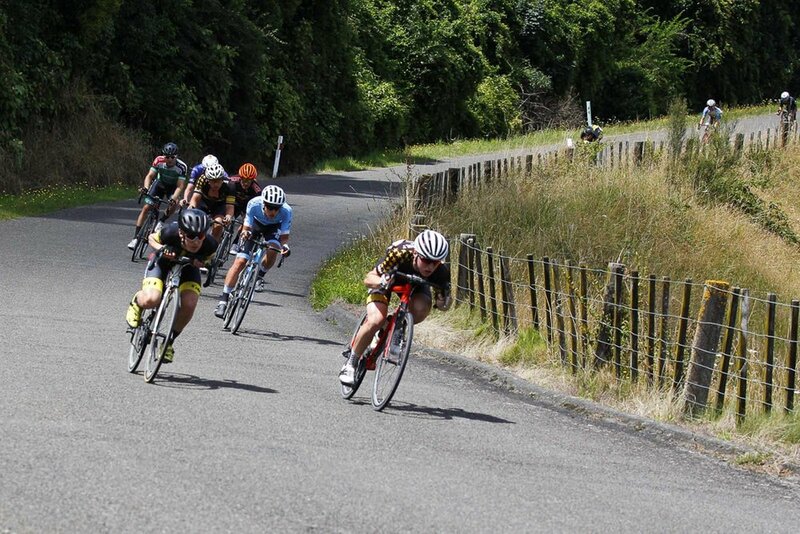 The international cycle event with UCI status is being held in Manawatu on Saturday, 27 January. Firefighter Haden will be looking to climb the ladder after his third placing in last year’s race, especially coming off a successful season which saw him turn heads with an impressive performance at the Tour of New Caledonia in October. Joining him in the Bike Box team is journeyman, Brendon Sharratt, also from Whanganui. Sharratt would have to be one of the dark horse NZ riders for the UCI event, being able to mix his well-known road skills with his proven road ability. His skills will come in handy as the race is known for its off-road toughness, with climbs and descents on roughly 40km of gravel testing the fiercest of competitors. As the reigning NZ Cyclocross champion, Sharratt has just returned from a European campaign where he has been racing at the top level in the off-road cycling discipline. Many teams are competing to gain valuable UCI points, following the Gravel and Tar Classic’s accreditation with UCI status for the first time in its history. Build up to the Commonwealth Games has also been an attraction for riders. Haden and Sharratt will be supported by 2016 NZ Junior road representative Liam Cappell, as well as time trial specialists Steve Nichols and Ben Earnshaw. For the first time, the Gravel and Tar Classic has gained UCI 1.2 status from the international cycling body and thus has attracted riders from as far away as the UK entered in either continental, regional, registered trade or national teams. Supporting the UCI race are two rides open to the public; the 70km Gran Fondo and the 35km River Path Challenge, both of which take in part of the race course. While the Classic is a test of skill and determination for the elite riders, organiser Stephen Stannard said the Gran Fondo is challenging in its own right. 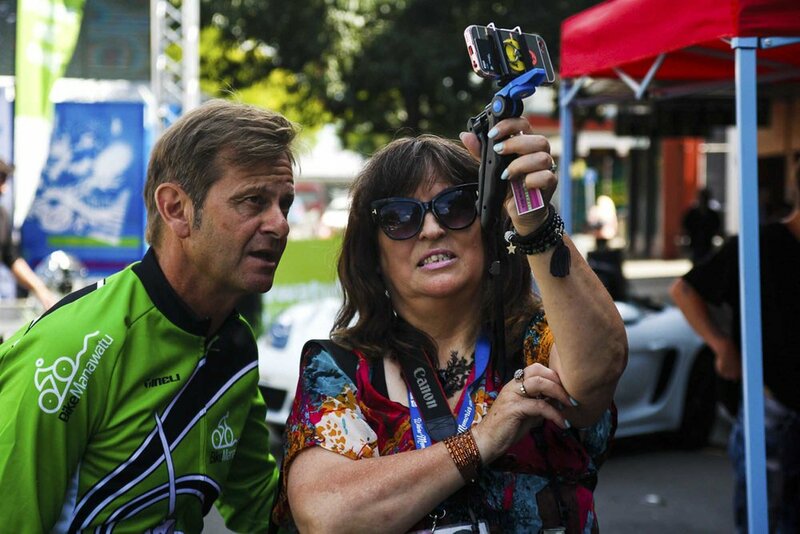 “We’d love to see as many Whanganui riders enter and be part of the atmosphere of international riding,” he said. Entry forms can be found at www.gravelandtar.com. Colleen Sheldon is a qualified former APN and Fairfax Media journalist and will be acting in a journalistic capacity leading up to and on the day of the event.